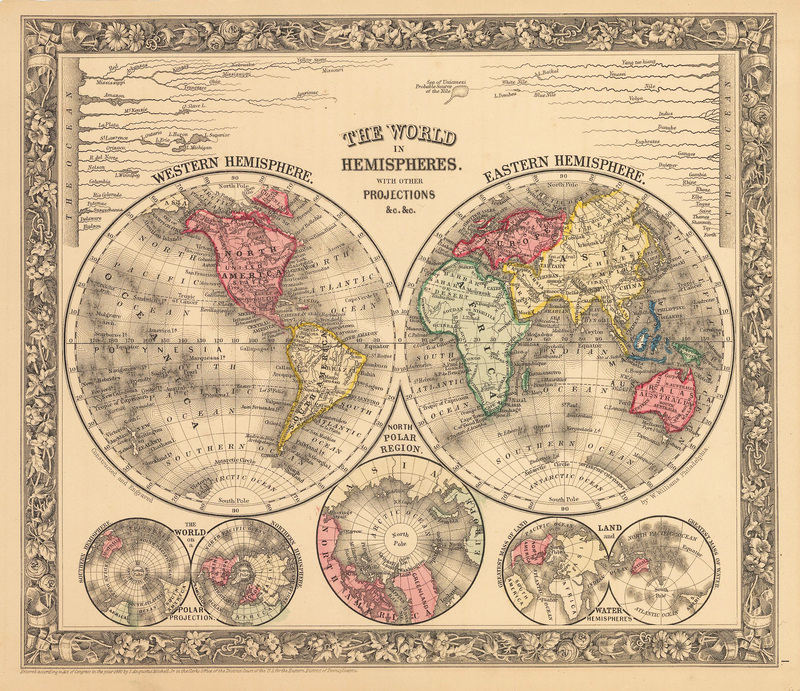 This is an authentic lithograph map of the world by Samuel Augustus Mitchell Jr. The map was published in Philadelphia as part of Mitchell's New General Atlas of 1862. The map includes a diagram of the longest river systems in the world as well as a polar projections, and another projection showing the greatest mass of land and water.